Description: A metal box of glass marbles isolated on a white background. (1994.247.99) Metal box with 43 glass marbles, manufacturer unknown, ca. 1922. On display at Minnesota's Greatest Generation exhibit at the Minnesota History Center. 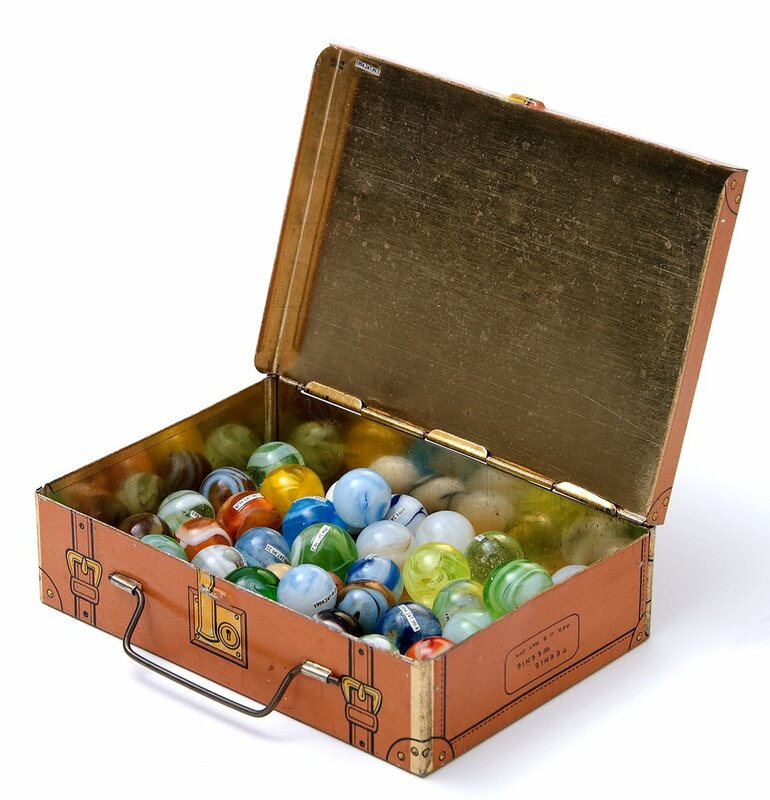 Attribution: "Box with Marbles" by Minnesota Historical Society is licensed under Creative Commons Attribution Share-Alike 2.0.